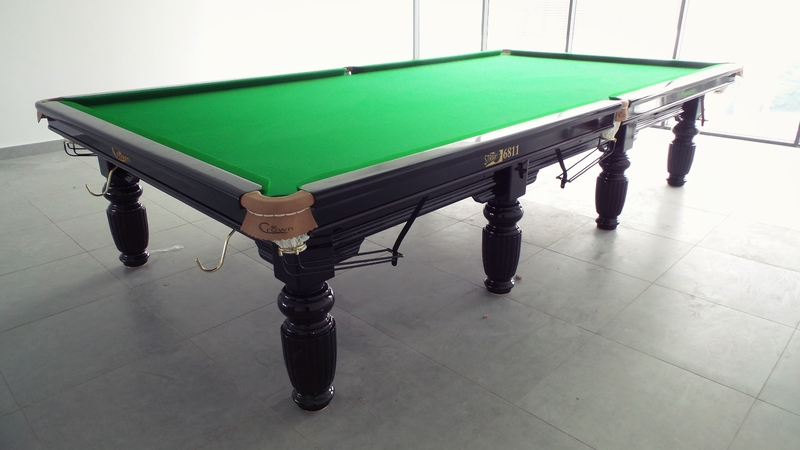 The Big Daddy of Billiards, the Crown 12ft Snooker Table. 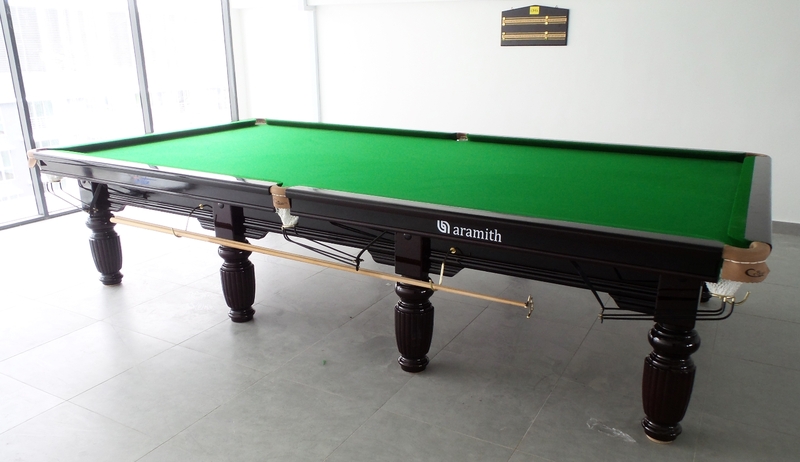 Last week we delivered the big daddy of billiard tables to Flexis @ One South, a new condominium development at Seri Kembangan, KL. When you move in to one of these luxurious condos you also get the benefit of playing the Crown Snooker table anytime you please. What a fabulous facility to offer. 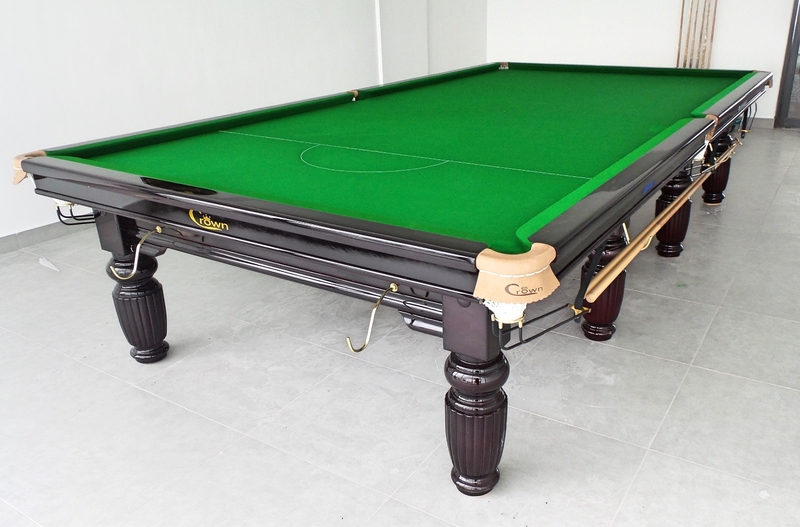 The Crown is a classic look snooker table, made from solid wood and completed with quality parts, genuine five piece slate playing surface, Aramith balls from Europe and finished off with Strachan Gold cloth (made in the UK). Hi Darwin. 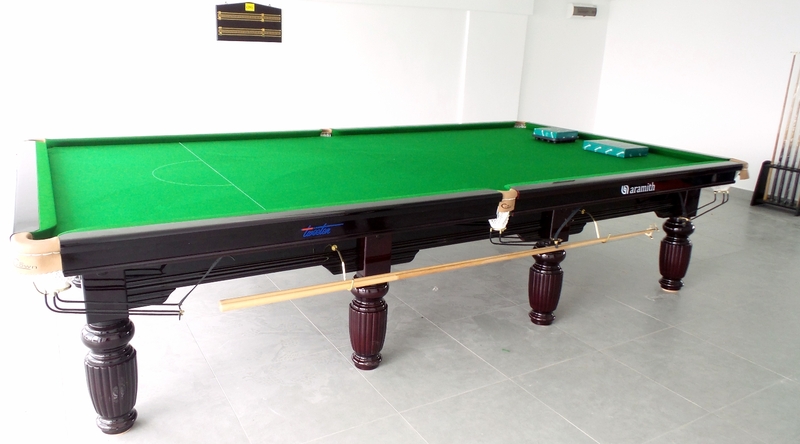 Crown 12ft Snooker Table – RM 16,675 not including delivery and installation.